Mine is jam packed and super busy, which makes it equally exhausting and fast. I have a big work event tonight, and am hoping things will slow down for a bit from here. 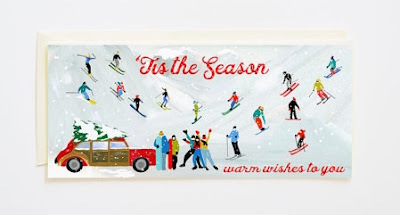 Today I have a new Etsy find to share with you: The First Snow. 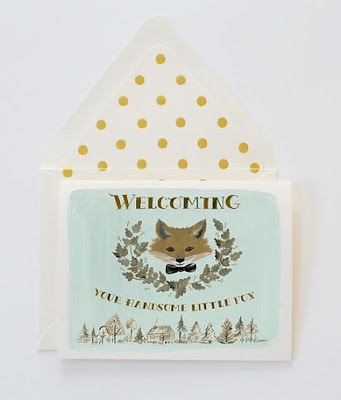 I just stumbled upon this shop, and it is pure perfection--such a find, in fact, that I almost want to keep it all to myself; but alas, I will share with you, friends! 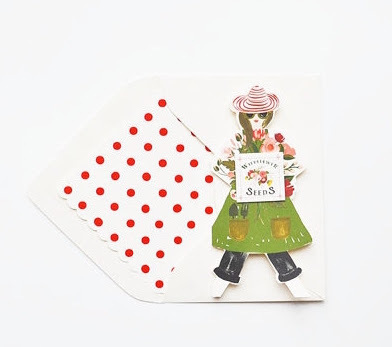 The First Snow is based in Denver, Colorado and has the sweetest selection of paper goods. 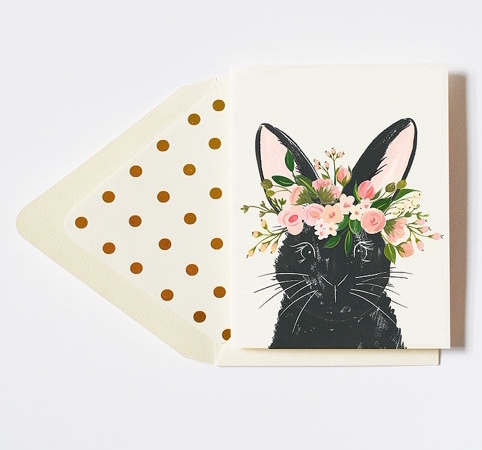 How darling is this bunny in a flower crown? 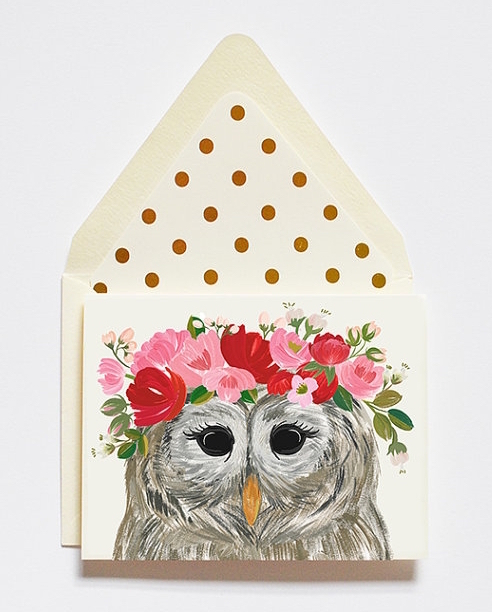 But wait, there's an owl too...and it's equally adorable! 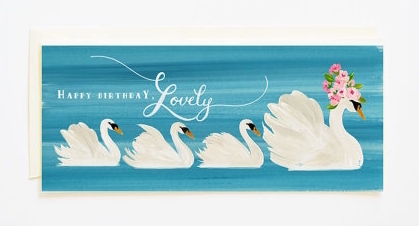 Also love this swan one! I feel like this one has a bit of a vintage feel. 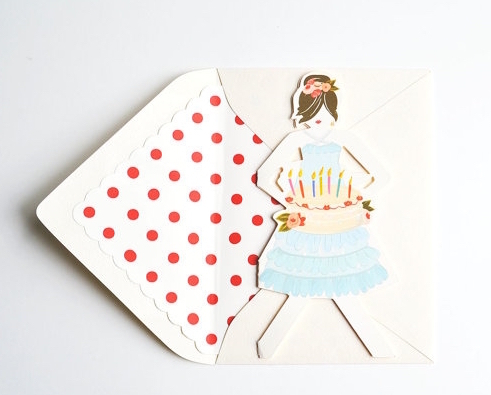 If this birthday girl paper doll isn't fab, I don't know what is! 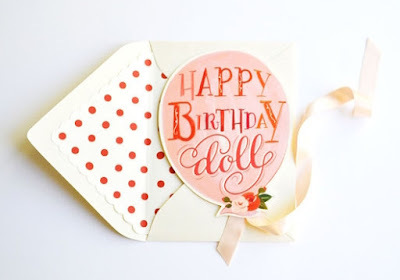 ...for her birthday, or, just because. I would put this in a frame...actually, I'd frame all of these cards. First Snow gallery wall, anyone? This foxy card packs just the right amount of sass, don't cha think? And finally, ready or not, Christmas is right around the corner! Have you shopped The First Snow before? 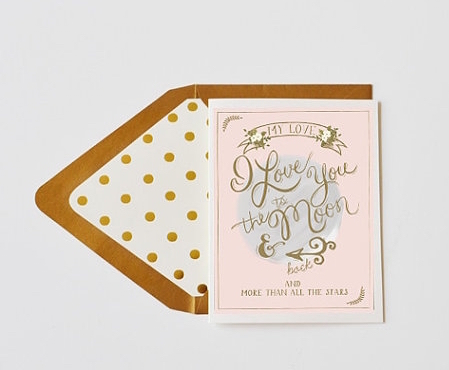 What's are your favorite sources for beautiful paper goods? Those cards just absolutely gorgeous! They are all super cute but I especially love the owl. Oh!!! Love love love these! And those awesome polka dot envelope liners are perfection.